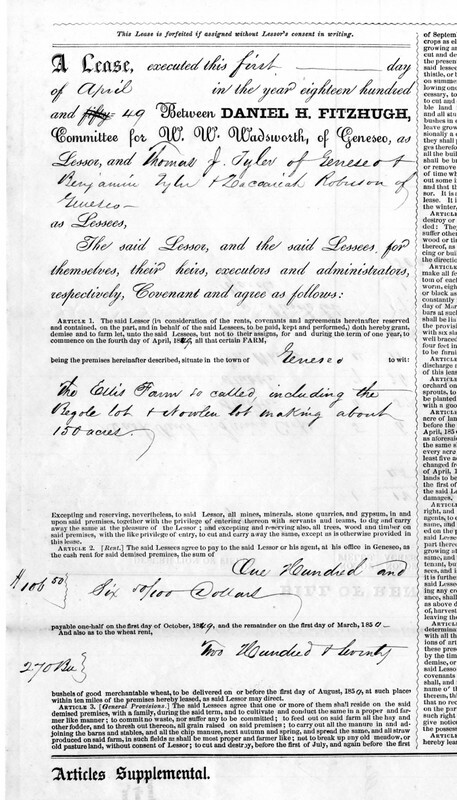 Original contract between Daniel Fitzhugh, as agent for William Wolcott Wadsworth of Geneseo, N.Y. and lesees Thomas Tyler, Benjamin Tyler, and Zachariah Roberson, all of Geneseo. 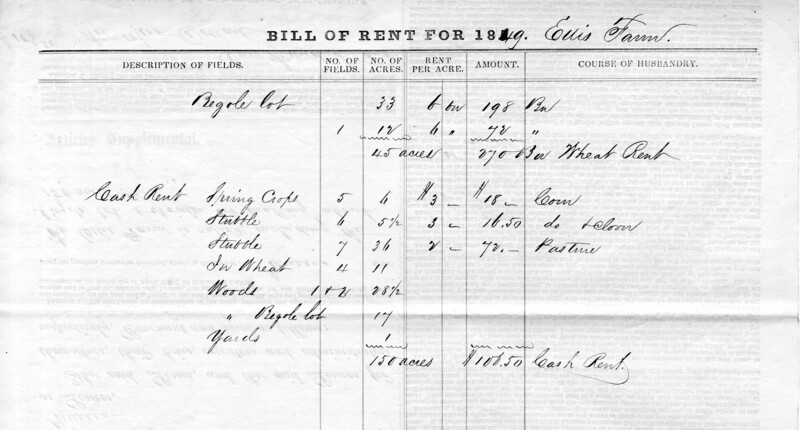 Article 2 of the lease (enlarged snippet view )pertains to rent, both in cash and in wheat, and the back of the document lists specific details concerning crops, acreage, and rent amounts per field. Paper contract, 10 x 16 in. Wadsworth, William W. (1810-1852), “1849 lease for Ellis Farm (Wadsworth property), Geneseo, N.Y., showing wheat rent ,” OpenValley, accessed April 22, 2019, https://openvalley.org/items/show/75.